That moment when you need to get to your seat in the middle of a row, but it’s too crowded on either side to shuffle in. So you do the only thing that makes sense: You climb over. Yeah, we’ve been there — and so has Jennifer Lawrence. Lawrence was caught climbing over chairs at the 2018 Oscars on March 4th in her gorgeous Dior dress and strappy heels. 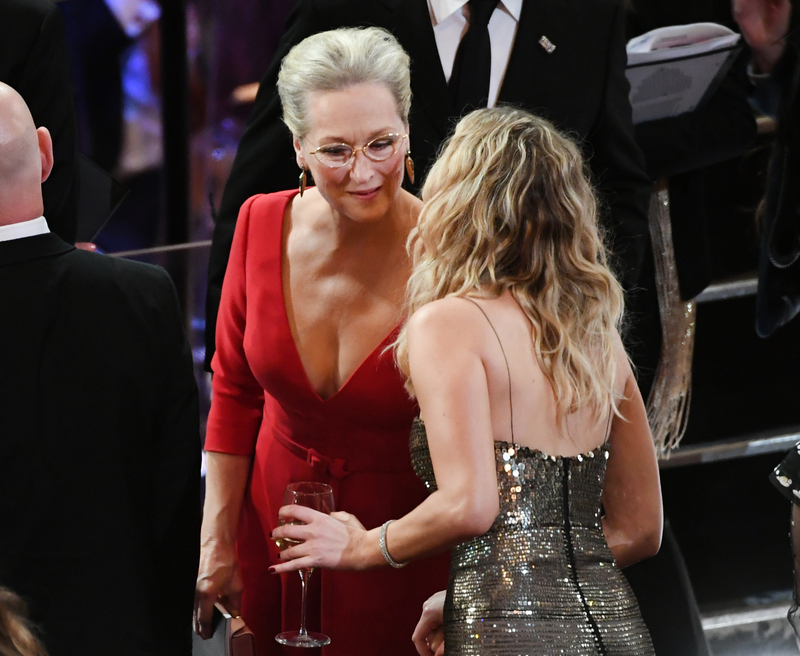 The actress, who, with Jodie Foster, presented the award for Best Actress to Frances McDormand, took the pre-show opportunity to mingle with celeb friends like Salma Hayek, Woody Harrelson, and Meryl Streep. And to get to them, J.Law wasn’t afraid of doing a few stunts. Although we’ve scaled theater chairs many a time, we doubt we’ve ever looked this glamorous while doing so. — Lawrence made it to Streep without issue. Besides the whole “meeting up with Meryl Streep” part, Lawrence’s antics were so us. We will seriously channel J.Law climbing while wine-ing for the rest of our lives. Please, Jen — don’t ever change. We want to see you climb over chairs while holding wine at every Hollywood event in the future. Thanks, girl.